I’m currently sat at “The Long Bar” in Raffles (the original home and birthplace of the Singapore Sling) looking back at my journey so far. One very noticeable fact about Singapore is that it is very clean, in fact I don’t recall seeing any litter or graffiti where we are travelling right now. Talking to some of the taxi drivers, I’m told that they have a zero tolerance approach to graffiti and dispense stiff penalties to any one caught doing so. Singaporean’s are taught from a very early age to put rubbish in bins and recycle where possible. This has a knock on effect that the streets are very clean, no sign of bubble gum, dog pooh etc and makes for a pleasant experience when visiting this country. Sadly the same can not be said of the UK, which has become a cesspit of graffiti, litter and unruly youths who are a day away from an ASBO, but enough of that as I leave these isles for good. There’s lots to see in Singapore, but the country is very much treated as a stop over, I’ll add photos to my Flickr account when I get chance to process them, but I recommend you take the Singapore flyer (it’s the London eye but slightly bigger to get a good view of the city, the night time safari and the Singapore zoo. 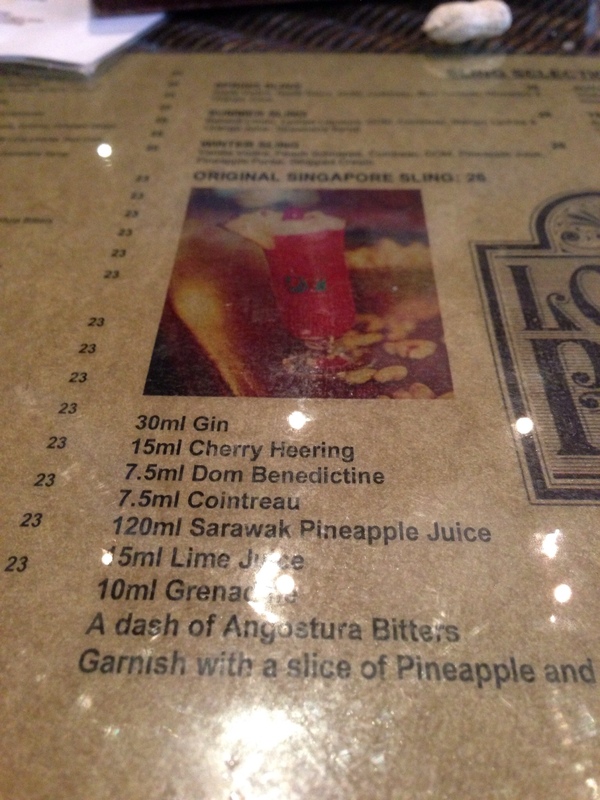 I’m sure you’re wondering what the original recipe is for a Singapore sling, so here it is! Here’s a photograph of the original recipe as published in The Long Bar. 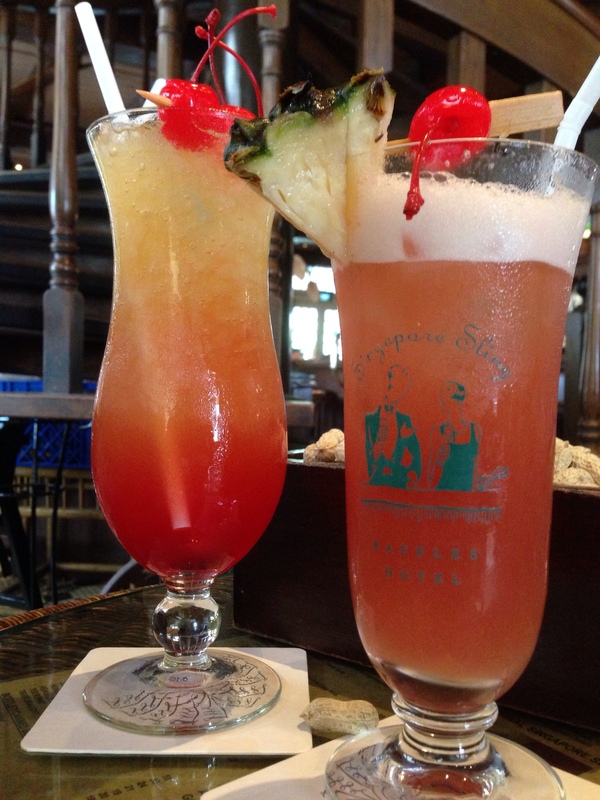 Your personal article, “Singapore Sling | Welcome to the new home of Muckypaws.